Looking back at the infectious disease alerts for 2013 – Biosecurity is now a well-known word in every horse owners’ vocabulary! Equine Guelph is renowned not only for their evidence-based online courses for horse owners but also for responding quickly to industry needs. Equine Guelph's new eWorkshops are two-week online short courses designed for busy horse owners and industry professionals looking to gain crucial knowledge on some of the industry’s hottest topics. From Equine Herpes virus outbreaks to common flu virus outbreaks, prevention is the key concept. Understanding practical ways to reduce your risk is vital for everyone with the role of horse caretaker. In Equine Guelph’s Biosecurity eWorkshop, industry experts, including guest speakers from the Ontario Veterinary College, share their knowledge of how you can decrease the risk of infectious disease in your own horse and horses you care for. Equine Guelph’s director, Gayle Ecker says, “The two-week short course format has proven popular as a quick, effective way for horse owners to learn more about important equine welfare topics. We are very pleased with the response from the industry.” Equine Canada has approved this eWorkshop for updating credits for their coaches. Register for Equine Guelph’s November 4 - November 17 offering of the Biosecurity eWorkshop. 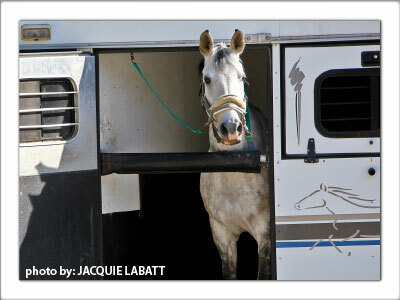 Equine Guelph is the horse owners' and care givers' Centre at the University of Guelph in Canada. It is a unique partnership dedicated to the health and well-being of horses, supported and overseen by equine industry groups. Equine Guelph is the epicentre for academia, industry and government - for the good of the equine industry as a whole. For further information on Equine Guelph, visit EquineGuelph.ca.